Today Stu and I cut paths at Moor Green Lakes ahead of their Open Day on Sunday 4th September. 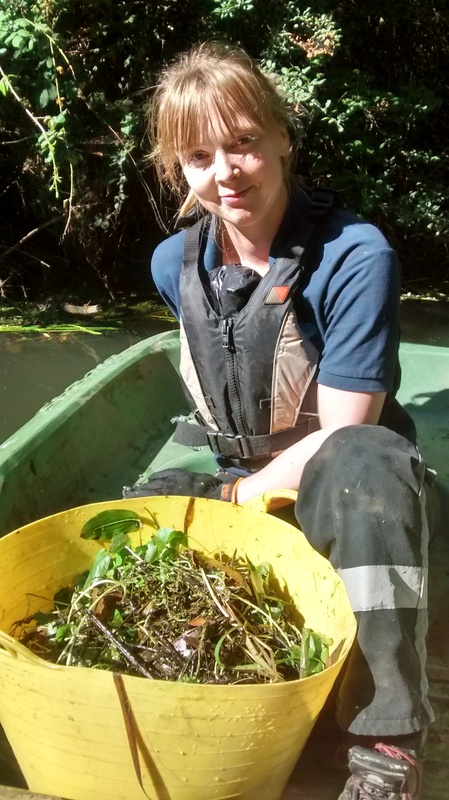 Meanwhile Jenny & Student Matt removed floating pennywort from the river, an invasive alien plant that we’re keen to survey & remove. Jenny was in safe hands as Matt used his Sea Scout paddling skills on the boat. 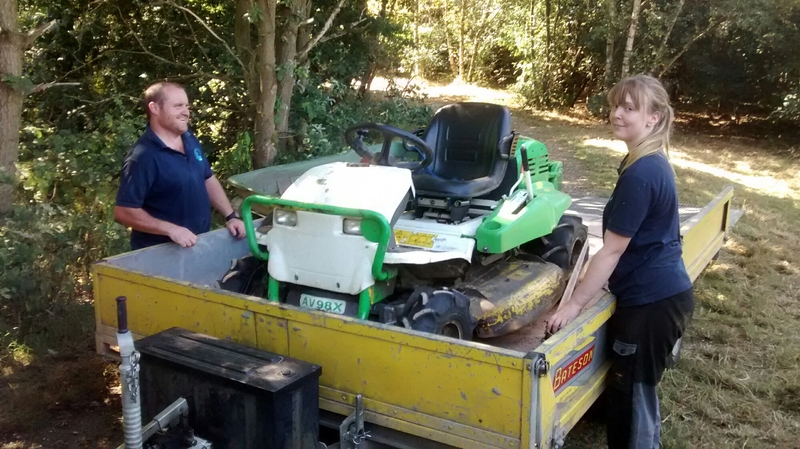 This entry was posted in Access, Conservation, Moor Green Lakes, River, Volunteers and tagged Blackwater River, BV path, Moor Green Lakes, Volunteers. Bookmark the permalink.